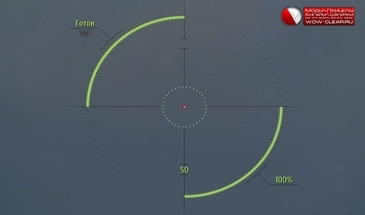 Zayaz scope for WoT 0.9.19.1.1 really widely popular and favorite among the players. And it’s not so simple. After all, they are really easy to use and effective in combat. This sight will allow you to very accurately shoot at the enemy and does not allow you to substitute a blow yourself. The difference in a new markers are that they do not have the markers in the middle of the sight. This difference is clearly visible in the screenshots below. Select the option you want and copy the folders and scripts in the gui World_of_Tanks / res_mods / 0.9.19.1.1/.